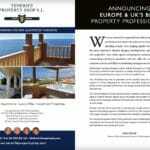 Choosing an estate agent - Tenerife Property Shop S.L. 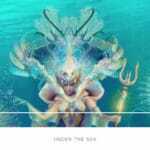 Buying in Tenerife is a different experience to the UK, and to make it as smooth and stress free as possible, you should take great care about the agent that you choose. An agent in Tenerife has a much wider ranging responsibility, and in selecting an agent you should ensure that they have the administrative resources to assist you. Not only is there a language barrier, but things just don’t work in the same way as they do in the UK, so they won’t work in the way you might expect. There is a minefield of bureaucracy which ranges from registering your tax status to ensuring that services such as electricity and water will be working when you move in. Many purchasers have a window of a week or two in which to get everything done. This is an impossible task, and so your agent should represent your interests to ensure that everything is dealt with from the delivery of furniture to the exchange of contracts and dealing with the notary. Agents vary in their ability and resources to ensure their service levels can cope with your requirements. Therefore buyers are advised to choose the agent before the property. Buying ‘off plan’ developments‘ is another very common route to property purchase in Tenerife. Here again, the agent is able to protect your interests. A good agent will only deal with reliable developers; they will check the contracts for you and will be able to call on their experience to highlight any causes of concern. They will have some knowledge of the developer and their track record, and will ensure that all the relevant permissions are in place. There is a degree of trust in buying off plan. Will it be completed when they say it will? Do they have the financial structure in place to complete? Do they actually own the land? You can see the importance of a good agent is crucial. TENERIFE PROPERTY SHOP, S.L. 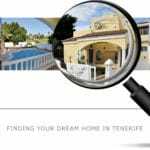 is an independent Estate Agent in Tenerife and offers a fully comprehensive service that cannot be equalled. We know that somewhere on this idyllic island there is a property ideal for you and all that is needed is the patience and time to find it. We will not sell you a property, we will simply help you to find the place you wish to buy and we believe our major responsibility is to present all the facts, honestly and accurately, whilst assisting you in your search. 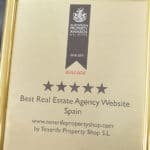 With an unequalled reputation on the Island, TENERIFE PROPERTY SHOP will be able to source almost any property for sale on the market, so your range of choice should not be diminished. Licensed Real Estate Agents are headed by an official agent who belongs to the Confederation Européenne de L’Immobilier (G.I.P.E.) or the Colegio de Agentes de la Propiedad Inmobiliaria (A.P.I.) which sets certain standards. Any office that does not display a G.I.P.E. or A.P.I. number showing registration should be avoided, as membership of either of these organisations signifies certain standards and guidelines that the agent must work within. After your purchase has been completed, our client services include advice regarding property letting, management and maintenance if required, official money exchange, car hire and a continuing advisory service which is very much appreciated by our clients and gives them peace of mind in the future.